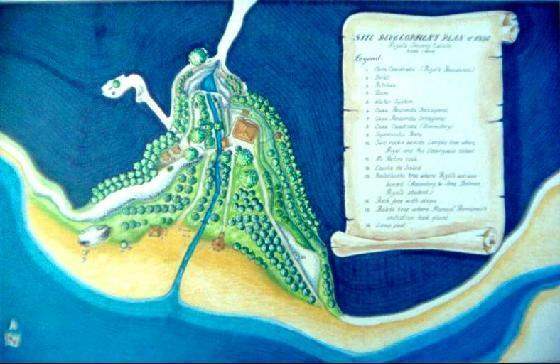 During his exile in Dapitan, Philipine's national hero - Jose Rizal - bought a piece of land near the shore of Talisay near Dapitan. On this land, he built three houses- all made of bamboo, wood, and nipa. In a letter to his friend, Ferdinand Blumentritt, on December 19, 1893, Rizal described his peaceful life in Dapitan. "I shall tell you how we lived here. I have three houses - one square, another hexagonal, and the third octagonal. All these houses are made of bamboo, wood, and nipa. I live in the square house, together with my mother, my sister, Trinidad, and my nephew. In the octagonal house live some young boys who are my pupils. The hexagonal house is my barn where I keep my chickens." "From my house, I hear the murmur of a clear brook which comes from the high rocks. I see the seashore where I keep two boats, which are called barotos here. I have many fruit trees, such as mangoes, lanzones, guayabanos, baluno, nangka, etc. I have rabbits, dogs, cats, and other animals." "I rise early in the morning-at five-visit my plants, feed the chickens, awaken my people, and prepare our breakfast. At half-past seven, we eat our breakfast, which consists of tea, bread, cheese, sweets, and other things. After breakfast, I treat the poor patients who come to my house. Then I dress and go to Dapitan in my baroto. I am busy the whole morning, attending to my patients in town." "At noon, I return home to Talisay for lunch. Then, from 2:00 to 4:00 p.m., I am busy as a teacher. I teach the young boys. I spend the rest of the afternoon in farming. My pupils help me in watering the plants, pruning the fruits, and planting many kinds of trees. We stop at 6:00 p.m. for the Angelus." "I spend the night reading and writing." 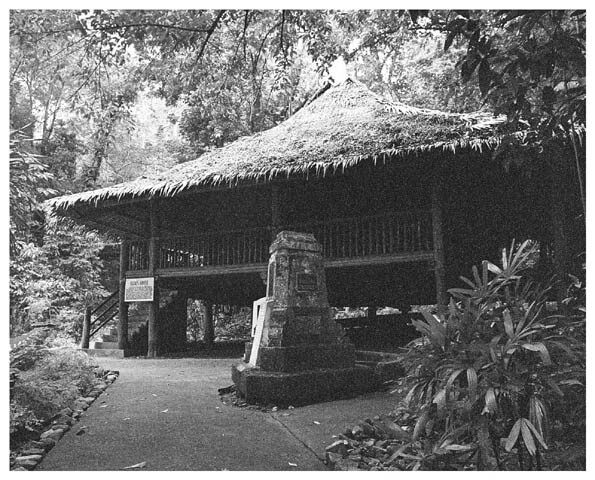 Casa Cuadrada, the square main house where Rizal ived, faithfully reconstructed with its original light native materials.